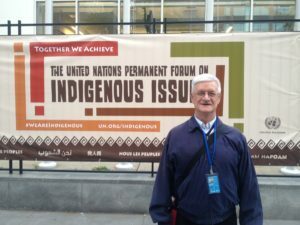 The United Nations Permanent Forum on Indigenous Issues (UNPFII) held it’s seventeenth session from April 16 – 27. The theme for the 2018 forum was; “Indigenous Peoples’ Collective Rights to Lands, Territories and Resources.” According to the UNPFII, indigenous peoples are inheritors and practitioners of unique cultures and ways of relating to people and the environment. Indigenous Peoples have retained social, cultural, economic and political characteristics that are distinct from those of the dominant societies in which they live. Several indigenous communities from around the globe were represented at the UNPFII. Many of them had opportunities to present statements on issues of concern to their different communities. The President of the UN General Assembly, Mr. Miroslav Lajčák, in his opening remarks at the forum, painted the grim picture of the situation of the over 300 million Indigenous Peoples around the world. He noted that while Indigenous Peoples make up about 5 percent of the world’s population, they comprise 15 percent of the world’s poorest people. A situation he described as ‘shocking.’ Mr. Lajčák also highlighted some of the challenges faced by Indigenous Peoples as violations of their human rights, marginalization, and violence they face for asserting their rights. Focusing on the theme of indigenous land, territories and resources, Mr. Lajčák pointed out that, “Indigenous Peoples are being dispossessed of the lands their ancestors called home,” often by big time and multi-national farmers and mining corporations. In a recent report by Conselho Indigenista Missionaria (“Indigenous Missionary Council” – a subsidiary of the National Conference of Bishops of Brazil), some of the challenges faced by a number of indigenous communities in Brazil (as well as indigenous communities around the world) include; high rate of of suicide, lack of health care, high child mortality, alcohol and drug abuse, lack of indigenous education and lack of general support from the State. Missionary Oblates and Vivat International, along with the NGO Committee on Social Development, the NGO Committee on Financing for Development (chaired by Fr. Daniel LeBlanc, OMI) and a host of supporting organizations, including the Virginia Gildersleeve International Fund, are hosting an event on March 13, 2017 at the UN Conference on the Status of Women (CSW). The goal of this event is to generate substantive discussions around the topic of financial inclusion as a tool for women’s empowerment and poverty eradication. Invited by Fr. Felix Garcia, OMI, novice master, Frs. 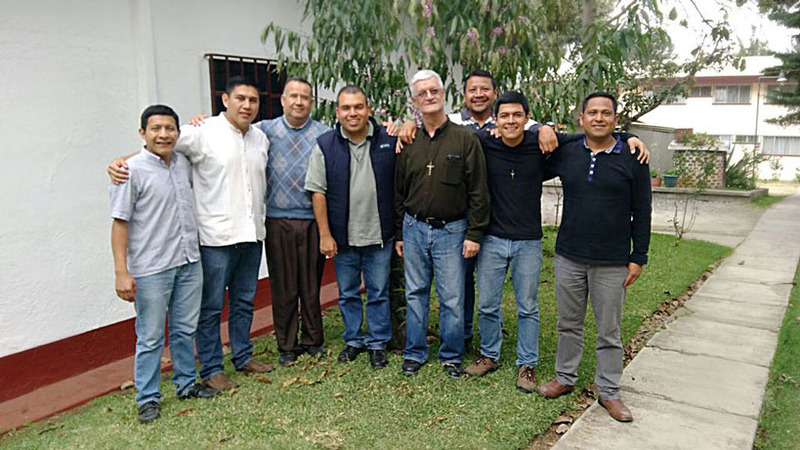 Daniel LeBlanc, OMI and Antonio Ponce, OMI led a weeklong workshop at the novitiate in Guatemala C.A. Fr. Daniel discussed OMI presence at the United Nations, while Fr. Antonio presented on OMI JPIC activities in the U.S. and the world. The United Nation’s 70th session convened in New York in September 2015 with the formal adoption of the Sustainable Development Goals (SDGs) by its 193 member states. 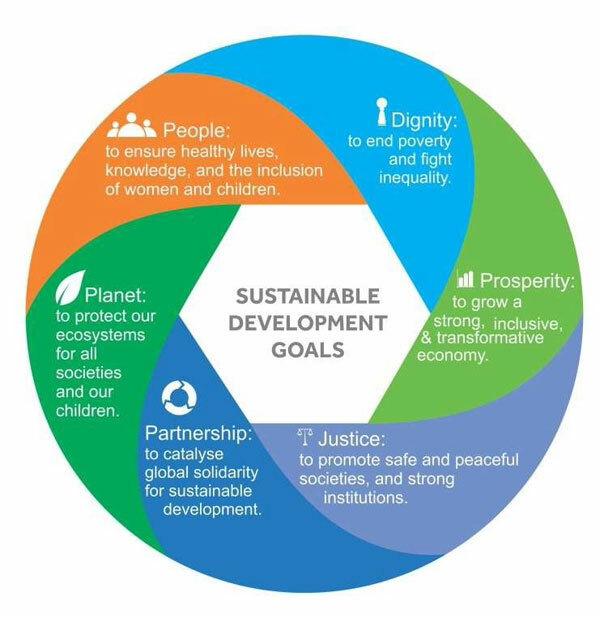 The SDGs replace the Millennium Development Goals (MDGs), the prevailing development agenda since 2000, which ended in 2015. Like its forerunner, the SDGs will have a 15-year timeframe and remain in effect until 2030. It is the result of an international consultative process that originated at the Rio +20 meeting in 2012. The 17 goals cover a wide range of social, economic and environmental issues: poverty and hunger, improving health and education, reducing inequality, and combating climate change. They have been hailed as a step up from the MDGs because they tackle more present-day issues and incorporate all countries rich and poor. In addition to governments, civil society groups have actively participated in the processes leading up to the final adoption of the global agreement. 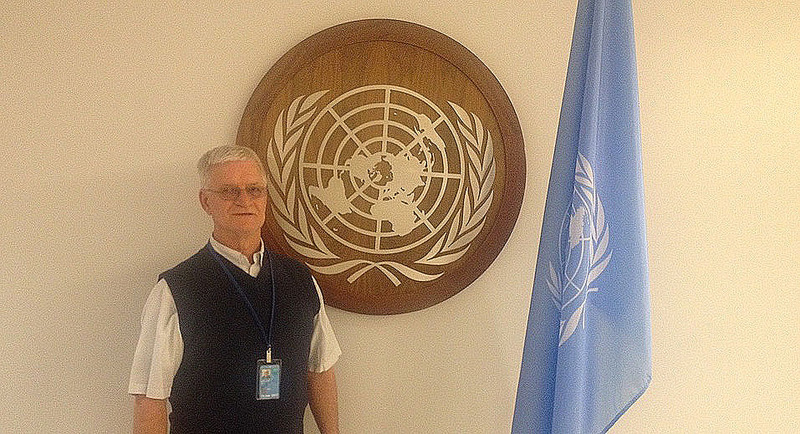 In the last year and a half, Fr Daniel LeBlanc OMI, JPIC’s Representative to the United Nations collaborated with several Working Groups including the Mining Working Group, International Trade Union Confederation and the Indigenous Peoples Major Group. These groups worked for the inclusion of a human rights perspective in the final agreement. Some of these rights include the right to water and sanitation, the right to decent work, the rights of Indigenous Peoples and the eradication of extreme poverty. An area of particular concern for civil society and other stakeholders is the question of how the goals will be financed by individual countries. A separate negotiation process took place in Addis Ababa, Ethiopia earlier this year at the 3rd Financing for Development Conference. In Addis Ababa Fr Daniel LeBlanc OMI joined other civil society groups in pushing for a new and expanded follow-up process that will allow civil society to better monitor whether countries meet their commitment and provide support for struggling countries. Without the necessary financing, many countries will fall short of meeting their goals and targets within the 2015-2030 timeframe.